By leveraging cutting-edge industry capabilities through commercial off-the-shelf software, the Global Combat Support System–Army (GCSS-Army) has transformed the way the Army arranges tactical logistics and financial management. The logistics enterprise, with GCSS-Army as the tactical component, propelled the U.S. Army toward its strategic goal of total asset visibility, permitting the service to right-size unit supply levels enabling the “factory to foxhole” distribution that reduces costs, avoids waste and improves readiness throughout the U.S. Army. Additionally, commanders now have near-real-time visibility of all of their available assets, including reparable end items. GCSS-Army, a part of the Army’s Program Executive Office for Information Systems, is an enterprise resource planning, or ERP, logistics solution that innovates supply, maintenance, property accountability and associated financial management operations across the tactical Army. The Army’s ERP systems optimize how the service does business and ensures readiness anytime, anywhere. GCSS-Army has replaced more than 40,000 instances of aging and stovepiped tactical logistics systems with one integrated logistics and financial web-based ERP solution. Fielding GCSS-Army represents the largest ERP deployment in the U.S. Army’s history and is currently deployed to more than 300 supply-support warehouses and in over 650 individual units. Since full deployment in the first quarter of fiscal 2018, this groundbreaking capability is in the hands of more than 100,000 users, providing tactical commanders with near-real-time logistics management information for combat decision-making. “GCSS-Army is the most significant change to Army logistics in decades,” Gen. Gustave Perna, commander of U.S. Army Materiel Command, said in a November 2017 edition of Army Sustainment magazine. With GCSS-Army, information is fully integrated in one system, eliminating timely and costly reconciliations between supporting activities, customers and supply sources that required time and effort under the former legacy systems. The ability to access information in one location allows commanders to have an accurate and timely picture of their logistics readiness posture to make critical battlefield decisions in near-real time. February 2013 marked the first of a two-wave deployment strategy, reducing risk and turbulence in receiving U.S. Army units. Wave 1 replaced the Standard Army Retail Supply System and the associated financial management information systems. Wave 2 replaced the Property Book Unit Supply Enhanced and Standard Army Maintenance System–Enhanced. 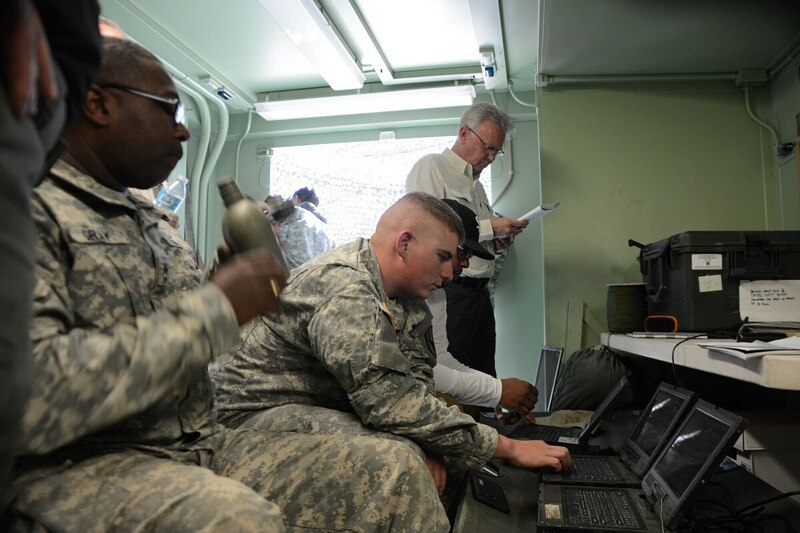 The GCSS-Army team completed the final conversions for the second wave in November 2017, at which time the transition to the sustainment phase of the GCSS-Army life cycle began. Moving forward, GCSS-Army will serve as the lead systems integrator, responsible for managing the full life cycle support of GCSS-Army, with support from the Army Shared Services Center of the Communications-Electronics Command’s Software Engineering Center. The transition to this teaming relationship formally begins Oct. 1, 2018, and is scheduled to be completed March 30, 2020. The capability-support phase includes enhancements to the system, implementing GCSS-Army to additional users, operating the full-service help desk to resolve issues, maintenance of the system baseline, cybersecurity and integration of future increments of GCSS-Army. James P. McDonough is the lead for the GCSS-Army Strategic Communications Branch.